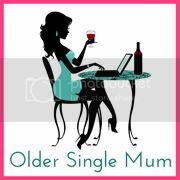 Older Single Mum: The Moment You Know Your Relationship is Over. The Moment You Know Your Relationship is Over. For quite some time I've been fancying a column somewhere, but don't really have the confidence to go shouting about it. I've trusted that, in time, the shocking statistics and my credibility would come together, that the need for a voice to represent single parents fairly and responsibly would make itself known, that we'd shrug off this worn out cliche of who we are supposed to be and we'd finally be heard in our real light and right. Six months after I first started blogging, netmums ran a week called Busting the Myths about single parents, which I was proud to spearhead and, indeed, they have always been a tremendous support to all parents, regardless of their status, so I asked if I could write some stuff for them and their response was that they would be honoured to have me! My first piece is called 'The Moment You Know.' It's about when we realise our relationship with our partner truly is over and there's no going back, how the breaking point is generally a long time coming and not always really obvious or cut and dried, but, for every separated parent out there, it will have come. Several people have contributed to it. As we approach Christmas, for too many families, some enforced togetherness will bring strained times to a head. I wanted to explain why some of us just can't carry on sometimes, why we don't deserve judgment or pity, but credit for the courage it takes to make the break and how, when children are involved, none of us leaves until our conscience allows. I would love to know your thoughts too and thank you all for your support! The moment for me came when I was working a full-time job, taking care of house and boys, plus doing work for my ex (taking appointments and doing the paperwork, unpaid, natch), and he told me I wasn't bringing in enough money, that I was a parasite, and should be doing translations during the night. It's a great post Anya and your thoughts as always are poignant as ever. I don't think anyone makes the decision lightly as it's not an easy path to tread. My only experience of separation was with a boyfriend (10 year's older) who lied to me. I decided that if he was capable of this, things weren't going to improve after we moved in together and I ended it. It wasn't easy as we'd been together for a long time but I did know it was the right decision. Thank you Sarah. I have little time for anything else! 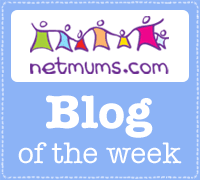 Great news about your Netmums column - and echoing the words of Older Mum, great article.